What this could really be called is "how to keep the guys outside and not interrupting you every five seconds so you can have girl time" Kits but that just didn't seem to have the same ring to it. Everyone knows the situation: You have a few couples over for dinner and then afterwards the girls want to stay inside drinking wine and gossiping while the men head outside for cigars and a drink. But inevitably, the sliding glass door will open and someone's husband will ask for ice, a snack or another dessert. And sure enough, girl time gets interrupted over and over again. 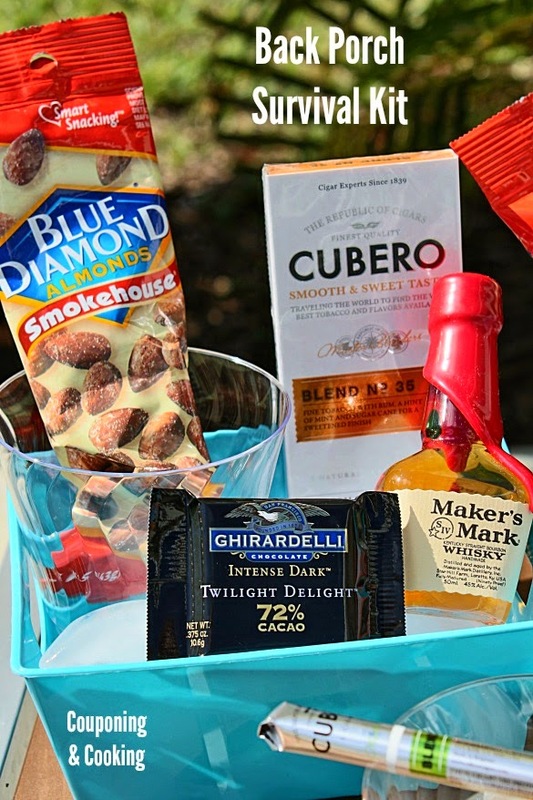 So for our next get together, I assembled some man kits which will hopefully keep the men out on the back porch around the fire pit for a least a little bit so we ladies can have some quality talk time with our wine. 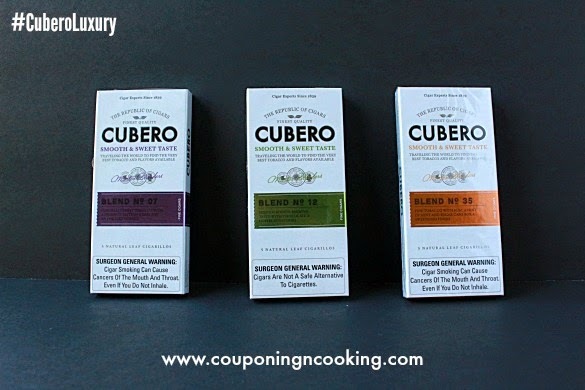 I went to Walmart and grabbed a variety of Cubero Cigars. The size, packaging and variety of blends gave me the perfect selection to include to make sure that everyone has something to make them happy. I also grabbed some smoked almonds and dark chocolate. I swung by the liquor store and grabbed a few mini bottles of whisky to complete my man essentials. 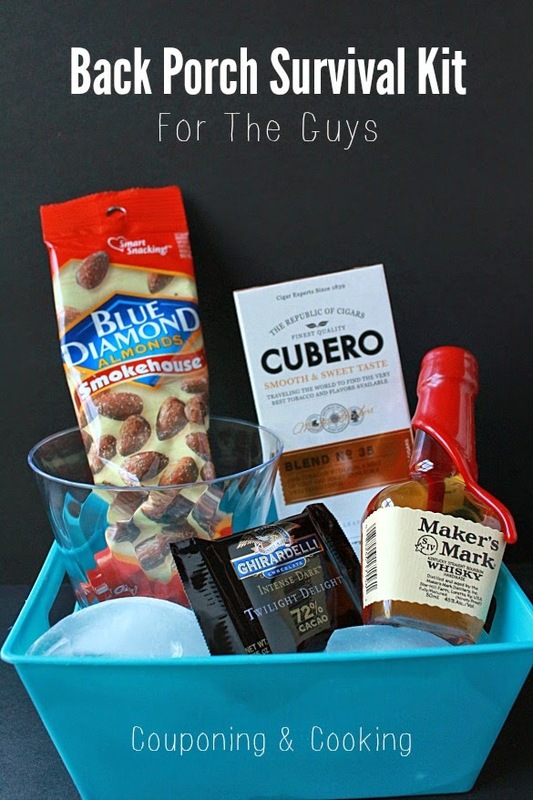 After our next dinner, all I have to do is put some ice in some little tubs, add a small plastic cup and my Cubero Cigars and other items. 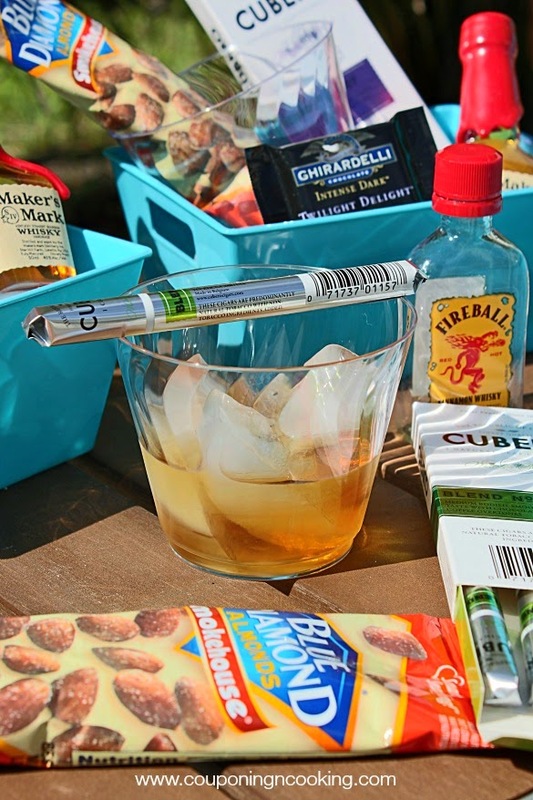 This way the guys can enjoy their evening outside on the back porch and have everything they might need right at their fingertips. This means happy husbands and happy wives since we won't be jumping up every five seconds to bring them ice, a drink or a snack. The kits that Are You Ready Survival Kits supplies conform to guidelines given by government agencies and non-profit preparedness organizations. All the kits were developed by experts in the survival field, and are available in different sizes. It provides back pain sufferers the opportunity to complement their therapeutic treatment with a device, which is portable, The effectiveness of this device has been confirmed by scientific study by the University of Iowa's Spine Centre. 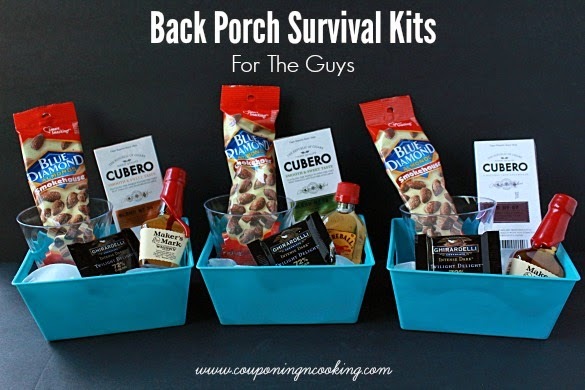 Hi, I appreciate every bit of your efforts to let us know about Back Porch Survival Kit For The Guys. In fact, we’re going to study and research it as part of a half-yearly initiative supported by our website rangerexpert and group of partners.